Have you ever washed paper? 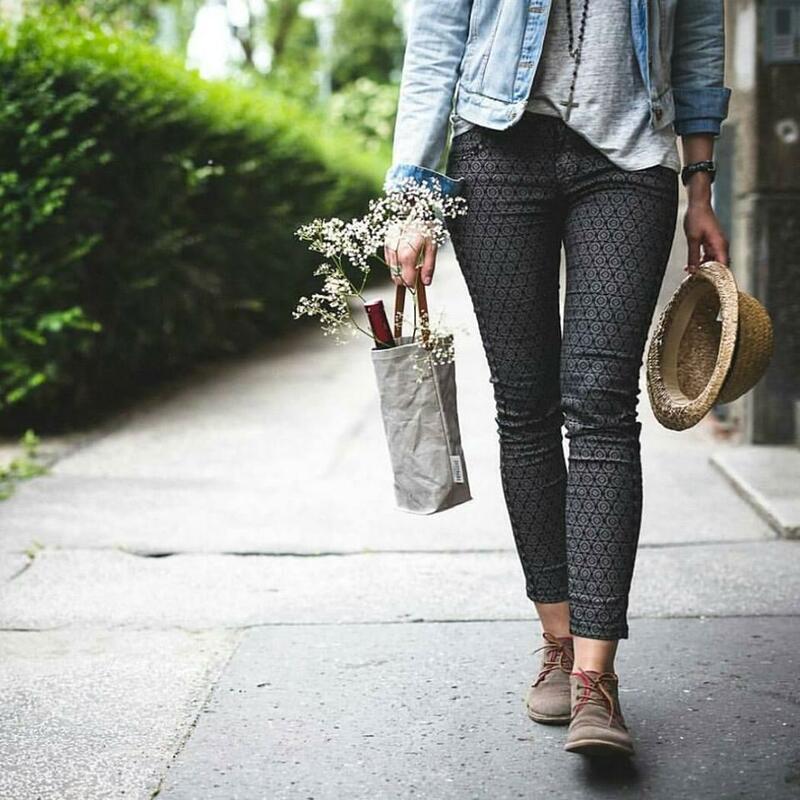 The notion sounds counterintuitive, but an Italian brand called Uashmama has found a way to create washable paper bags for eco-conscious customers. The lightweight bags, which look and feel like leather, are actually made of a special natural fiber. The timing for this innovative line couldn’t be better. Today, thousands of bags end up in landfills around the world. Many of these are single-use bags which have become widespread in consumer focused cultures. Uashmama bags help divert waste from landfills by creating a range of unique bags made to last. The washable paper designs cover fashion, accessories, and homewares. The company offers a range of bags such as paper purses, wine bags, backpacks, and messenger bags. They also create other items like paper planters, dog leads, cushions, light pendants, buckets, and table placemats. The process for these unusual bags starts with a raw material called cellulose fiber which comes from a source that responsibly manages forests. The choice to use materials sourced from cultivated fibers instead of somewhere that contributes to deforestation helps create the foundation for a truly eco-friendly product. From there, everything is produced in Tuscany by hand. The soft but resilient material is manufactured in a process similar to leather so that it can be stretched and tanned. This effect makes it durable to withstand the wear and tear of daily use. Their unique paper called AGGO is formed and softened using vegan fats. The team then uses special stones combined with high tech machines to roll the material into a consistent piece. As with many artisanal items, slight variants in the products reflect the intimate nature of a handmade natural fiber product. The result is a product that washes like fabric but can hold its form. This feature creates a genuinely sustainable paper product that can be used over and over again. As an added bonus, the bags can be ironed and completely flattened for easy storage. While the company is based in Italy and the materials are produced in Tuscany, Uashmama has a close-knit team of collaborators who promote the brand in countries all around the world such as Australia, Spain, South Africa, Slovakia, and the USA. The team is currently working on new ways to use their special material in applications such as car seats.